Thank you for taking the time to visit our website and learn more about Pediatric Dentistry and the importance of proper dental care for your child or your students. Did you know that The American Academy of Pediatrics (AAP), the American Dental Association (ADA), and the American Academy of Pediatric Dentistry (AAPD) all recommend establishing a “Dental Home” for your child by one year of age? 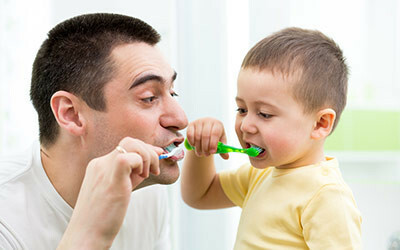 Children who have a dental home are more likely to receive appropriate preventive and routine oral health care. Read more about your Child’s First Dental Visit and Establishing a Dental Home or choose from our helpful links above and enjoy your time on our website! Teachers be sure and check out the activity sheets and motivational charts for fun activities your students can use in class.